Discussion in 'iPhone and iPad Games' started by lSoLlAKirA, Sep 28, 2016. Hi guys. Always Simone here, always from Rome (Italy), always posting you something about games published by the company i work for, redBit games! Today it's really a special special day. 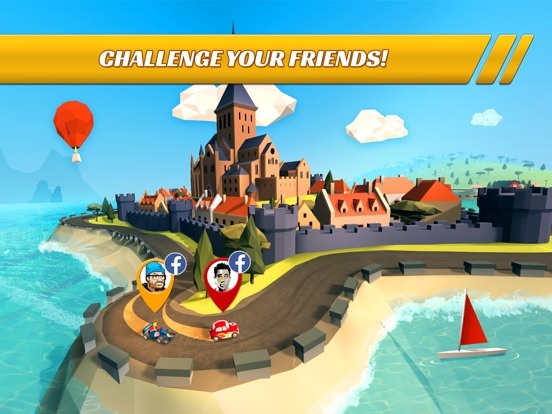 The game you guys from the TouchArcade forum helped developing with beta testing is finally in the stores! 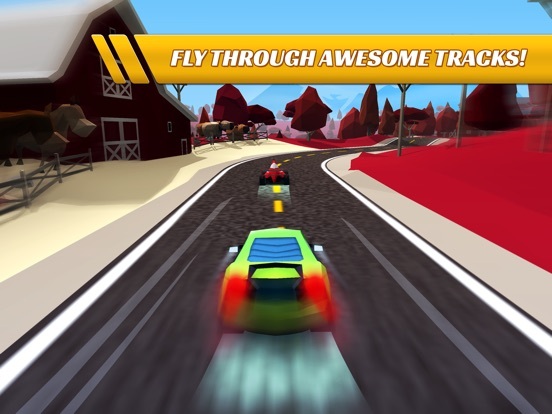 I'm speaking about Pocket Rush, a single tap real 3D racing game (developed with Unity) that will make you race between city, countryside, mountains and coast circuits. 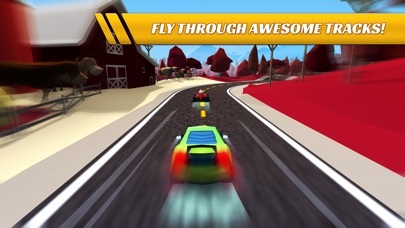 It's free (with IAP) and i'm sure you will have tons of fun playing it. 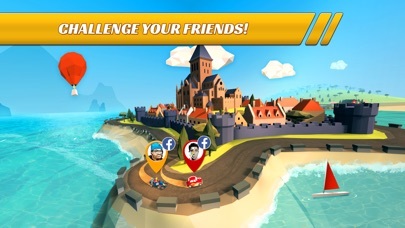 It's fast, it's challenging, it's has got multiplayer online challenge (1vs1) and weekly tournaments. This is the official trailer in which you will find Bruce McGuire starring, he was in the first Tim Burton's Batman, as the TV Anchorman. Any feedback (or questions) from people of this forum it's really appreciated, thanks for your attention and time! Coins = small money. You use that to unlock almost all cars and all powerups. You need them to play challenges (you bet them and you can win from your opponents). You also repair the car with coins in the garage. Bucks = big money. You can use that to unlock the scenarios if you don't want to play (you can unlock them just by playing). You need them to play tournaments (and you win them in tournaments). There are 2 cars that you can buy ONLY with bucks. You also need bucks to buy Vigogreen (that is a special nitro). Any chance this is coming to Apple TV? 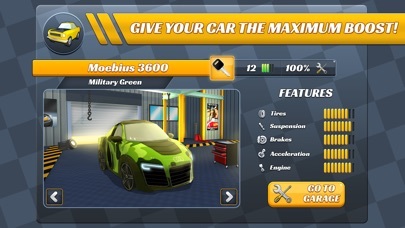 My question is - even if i pay to remove the fuel system, wont i be forced to spend more money getting the green stuff? Standard coins you earn just by playing = correct. The you have bucks, premium currencies, you can purchase with real money win at the slot = correct. Also, you obtain bucks by levelling up your character AND winning weekly tournaments. The "green stuff" (it's called Vigogreen) it's a boost that wear off race by race (not with time). Pay attention: you cannot "upgrade" your car for good. If you want to upgrade tyres you have to buy a new car with better tyres But as you said you can use vigogreen to upgrade any part of the car for some races. Anyway buying unlimited fuels can be a good idea for what you want to do. 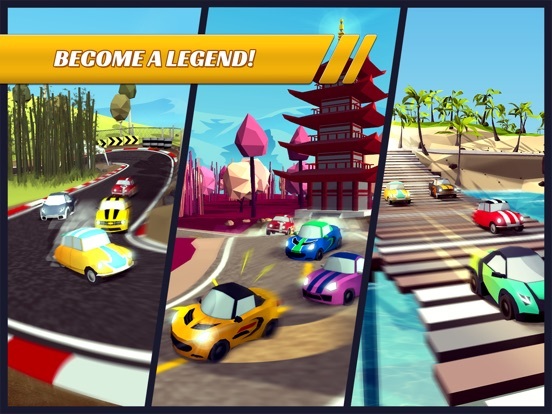 With that, for example, you can race more than your opponent in weekly tournaments and so you can gain more bucks and so you can speed up your progress and so on. Just for reference: you can also gain almost everything (fuel, bucks, coins) watching a video ad. For any other question, i'm here! Thanks for your compliments, we really appreciate that! Took me a bit to figure out where to select a car, too. I swear at some point I got a notification that I had a new car, yet when I went to the garage I only had the option to buy a few cars. Is that what it meant, that new cars were available, not earned? Yes it is supposed to work like that. 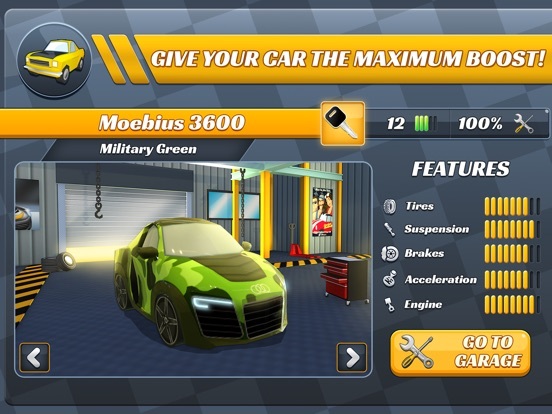 You unlock the car and, after unlocking it, you can buy it. 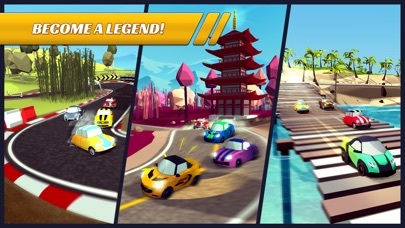 Hello guys, Pocket Rush lead developer here! I expected to find a big mess in the thread but looks like everything is calm... Not on our servers, though! We had an HUGE amount of players, more than we could ever have expected, and this led the game to face some unavoidable server-side issues. The team is working hard to get everything back to normal asap (the game is still playable now), while I am taking care of everything client-side. A first update will be out this week, containing a lot of bug and crash fixes, performance optimizations, and 8 languages: english, french, german, spanish, italian, russian, chinese, japanese. Don't keep back your questions and thanks for playing with us. A quick message to inform all of you guys that the game was updated right now for its first time. You will find something like 7 languages right now on the app to choose from and, beside that, everything will be smooth (less frame rate drop, less bugs, and so on). Ok, this is not my kind of game but it seems good. The only thing that I want to say is that the game is laggy in single player, medium graphics quality and iPhone 5S. I would like to give more than 3 stars, because there seems to be lot of content and no forced ads... but it was really laggy. See you next time and good luck devs! Just keep following and updating the game, we are trying our best! Just look at micro machines or table top racing... they run perfectly. This game should run perfectly on any device. Was almost forgetting to answer you. I apologize. That is the first ever suggestion that made so much sense that we are working on it right now. The next update will fix this with an exception. Thanks for making us noticing it. Mmm I don't think the same. The AI of other cars is developed in order to make them harder if you are having a better car, more vigogreen etc etc. That means that every track, even 1-1, is difficult as the last one or at least, sorta of (this is not true because the AI is better where there are more curves but... don't tell anyone). Don't agree on this either. We've got different challenges for every different wallet. Of course doing a 200 or 50 coins challenge won't make you rich but if you're not that good you don't want to invest a lot of money in a win that won't arrive Speaking about me, for example, I'm very bad at this game but I like multiplayer challenges si i do only the smallest. Here in our office, the graphic designer of the game, is so good that he know that he can win every challenge he plays and so he's doing the 200k challenge, where he finds only people that can REALLY play the game. In conclusion, I think this aspect of the game is well balanced. Thanks again for your feedback again. It really helped us in a lot of ways. First, thanks for a great game! One issue I have with this aspect of the game is that it kind of kills the point of upgrading the car, getting more vigogreen, etc. Why bother when the opponents (in single player) will be just as fast as you anyway? It also feels like there is some kind of "rubber band effect" on the opponents at times. No matter how good I drive, they'll be right on my neck in the next turn. 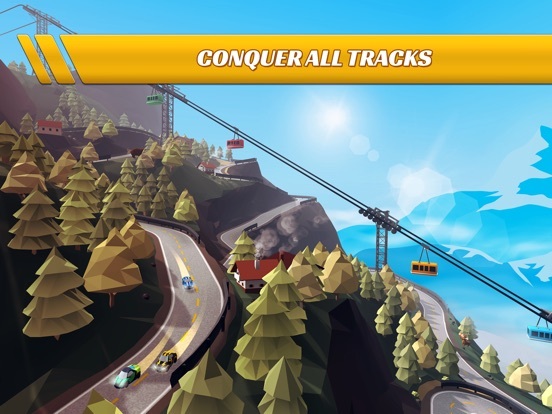 Did you consider going for a Trackmania style of game instead? Where the other cars are ghosts, so it's only up to your skills to be able to drive your best. Bug/enhancement: Don't reset the timer-thingy everytime you get back to a track's "Go" page. 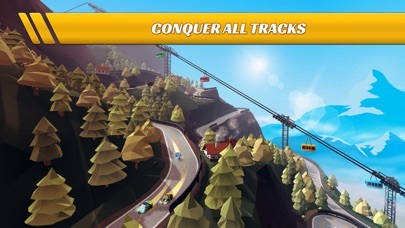 I'm talking about the clock down to the left that I want to keep off at all times (since I anyway just want to beat the opponents), since it's quite annoying and distracting on the track. What does "Local" even mean on the "timebar" in the game?